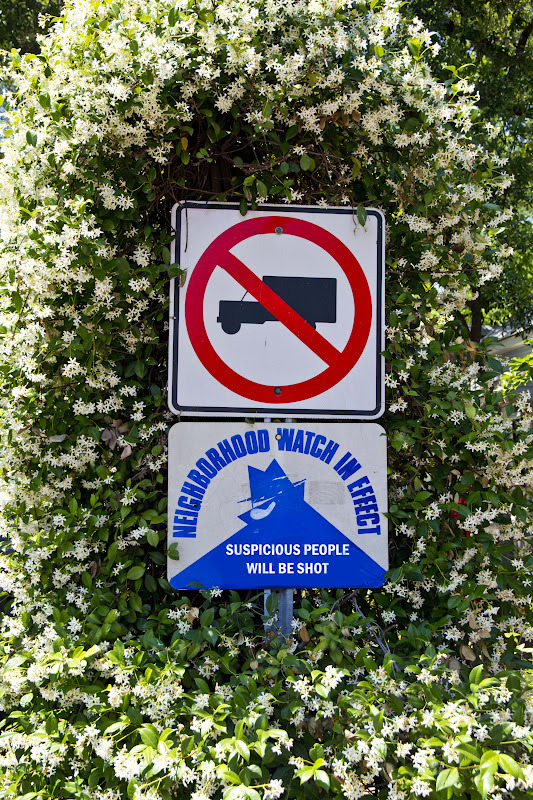 This was a sign that I happened to see in an upscale neighborhood. 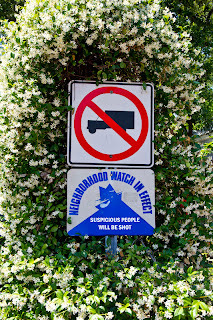 Dang, these neighborhood watch people are hard-core! You sure don't want to be caught buying ice tea or skittles in this 'hood. Or you gonna pay, brother, you gonna pay.